Romney a Liar? Try Again. Who will lead us in the future? Who is most qualified and capable? What makes them qualified? Is it Goodness and Character? Wisdom and Intelligence? Experience? The ability to unite us as a nation? What makes one a great leader? The intellectuals and central planners on the left want the best and the brightest to lead us. Fine. Please let me introduce to you one of the most intelligent and capable leaders this country has ever had the privilege of knowing: Mitt Romney. Romney is a results-guy, not an ivory tower, smooth talking philosopher. 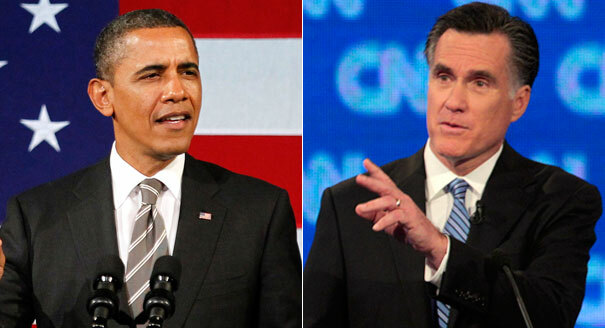 Romney wins on both the intellect and the roll-up-your-sleeves, get-it-done results. They say Romney and the Republican party represent a party of corporate greed. Yet, Romney gives 16% of his massive income to church and charities. Obama's charitable donations? Less than .0002% (that's $80 on his $400,000 salary for those of you that are a bit slow on the math). So Obama fans loose on the 'he's a nice-guy' argument too. They say Romney's religious beliefs are divisive with the average American. The irony here is that Obama has all but declared open war on just about everyone he can declare war on: the rich, the capitalists, the business owners, the wallstreet tycoons, the elderly, the unborn, and of course, the Christians. Further, Obama denounced his hate-inspired religion when it became politically convenient. Romney is true to his Christ-centered faith, regardless of the political ramifications. The Obama camp is putting out the PR blitz against Romney and Ryan, on one hand criticizing the two for not getting their facts strait. Obama accusing Romney of integrity flaws in an effort to tear-down Romney's character is like Brittany Spears telling Celine Dion she's not cut out for singing. Let's look at a few of Obama statements made in the past few years so we can measure up Obama's oratory-flattery and flat-out lies vs. Romney/Ryan's supposed "misleading the facts." "We will go through our federal budget – page by page, line by line – eliminating those programs we don’t need, and insisting that those we do operate in a sensible cost-effective way." (Um...right - didn't happen, doesn't happen). "Under the White House’s budget proposal, we will not be adding more to the national debt by the middle of the decade. (he hasn't submitted a budget to Congress and he's certainly added significant debts). Folks, we don't need another 4 years of hate, division, blame, and smooth-talking lies. We need character. We need strength. We need a man who is both wise and good. We need someone capable of turning difficult, unsustainable situations around - situations that call for true initiative and influence and unity. We need a Mitt Romney.